Director Shane Black teases that 20th Century Fox wants a huge event-style movie for his ‘Predator’ remake, in the same vein as ‘Iron Man 3’. well...let's not lose hope just yet. 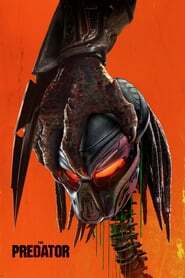 Yvonne Strahovski Joins The Predator! Chuck & Dexter actress joins the already great cast. Still, Black directing, i hope for the best. So this is filming near my in-laws place! I drove by the set a week ago or so and saw a pink helicopter and a bunch of smoke and stuff (at the time I didn't know what it was, but I looked it up and found out it was this). Today my brother in-law sent me a photo of some of the vehicles in the film. They look pretty rad. Apparently word got out that Arnie wanted a bigger role. "They asked me, and I read it, and I didn’t like it — whatever they offered. So I’m not going to do that, no. Except if there’s a chance that they rewrite it, or make it a more significant role. But the way it is now, no, I won’t do that." Did not know this was happening. Awesome. Just a bit of a bonus that Yvonne Strahovski is in it. Wow. PREDATOR as whimsical love triangle romcom!